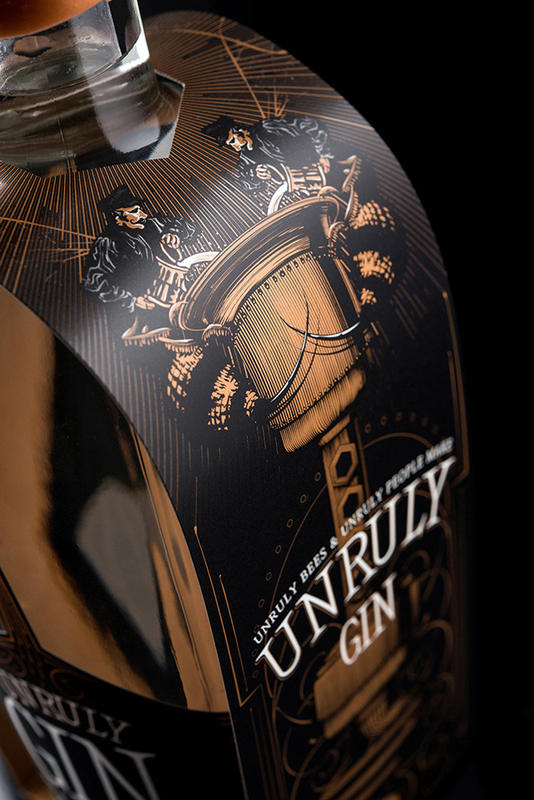 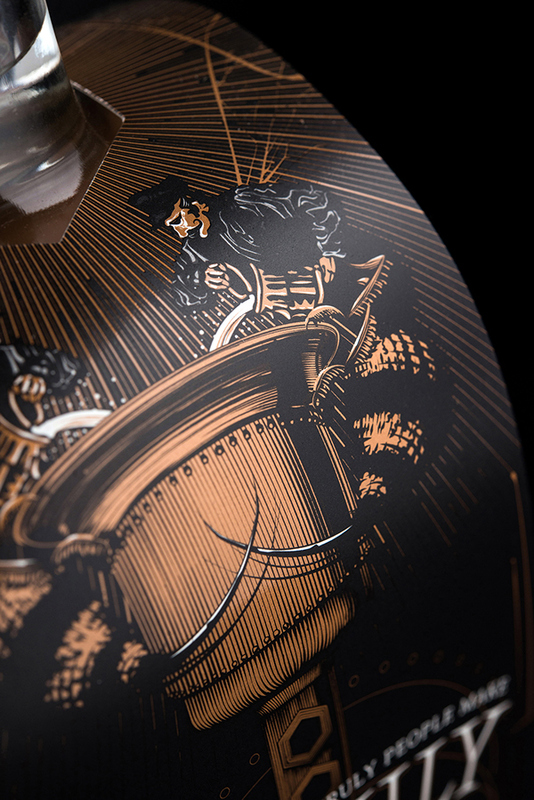 We took Wayward’s packaging beyond a simple front / back label and created a housing for the bottle that illustrates the the Unruly partnership that exists between this Wayward distiller and the bees. 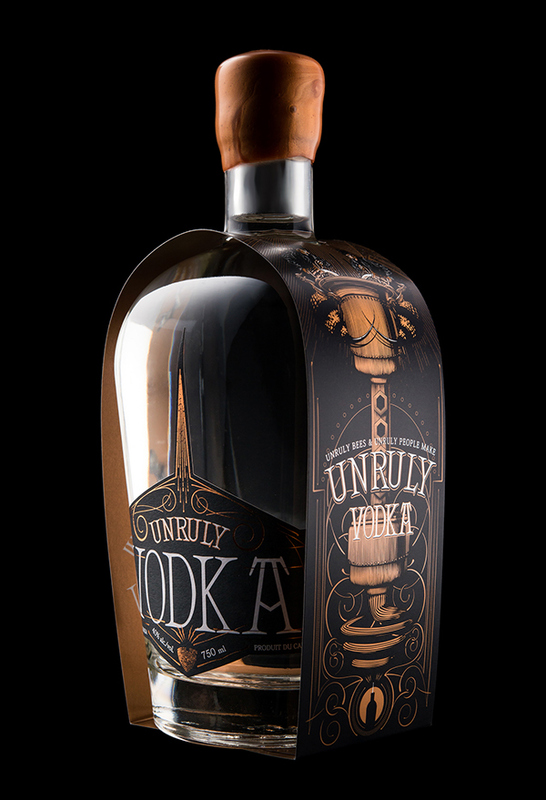 The custom vector illustration on these bottle housings is sure to set the products apart in a retail setting and should help create significant buzz about their products as they build up to their launch. 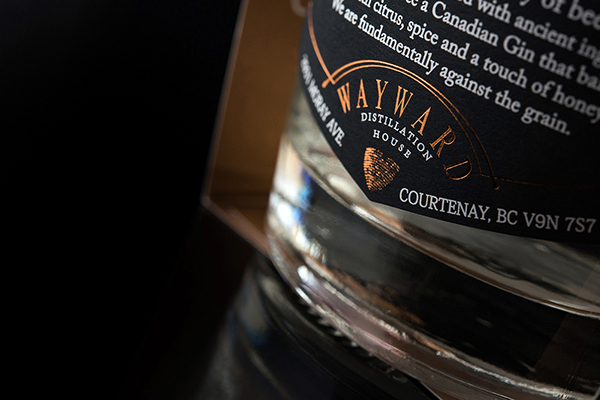 Wayward Distillation House is the only distillery in Canada using honey as the base material for their spirits, rather than the more traditional options like barley, potatoes, or corn. 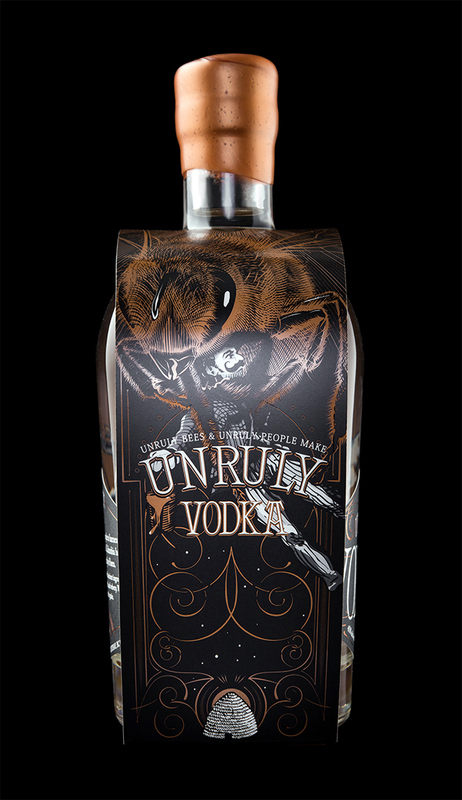 Their packaging needed to emphasize this without appearing as though the products taste like honey (because they don’t.) 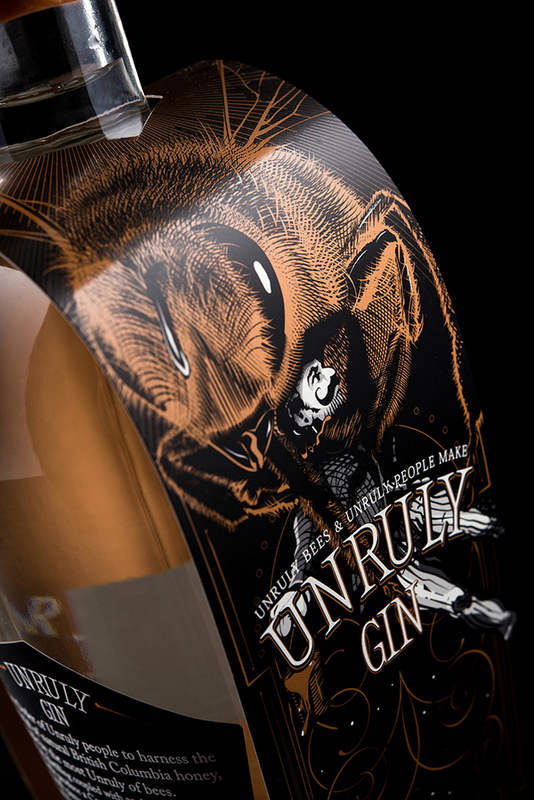 We took Wayward’s packaging beyond a simple front / back label and created a housing for the bottle that illustrates the the Unruly partnership that exists between this Wayward distiller and the bees. 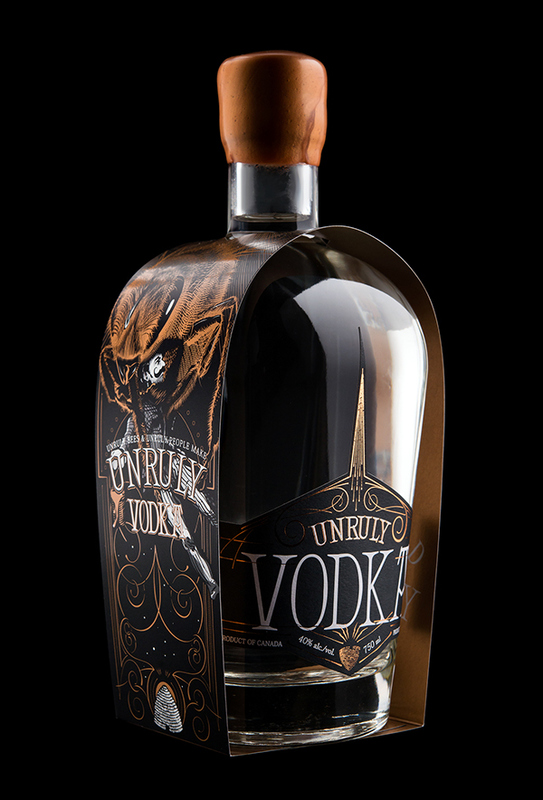 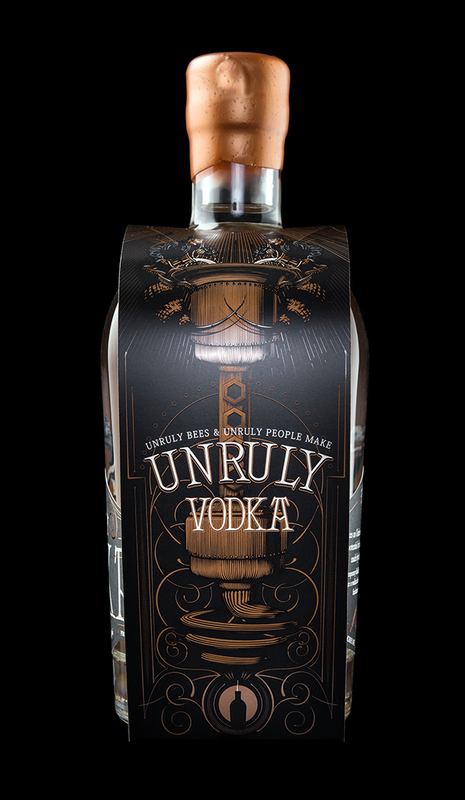 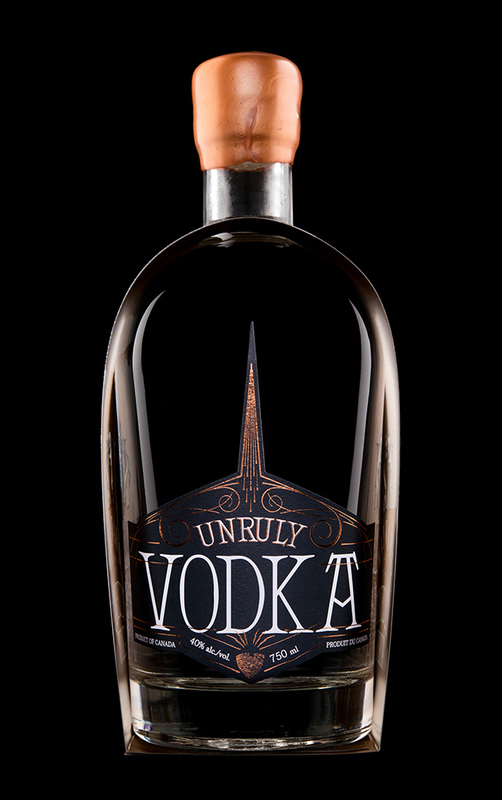 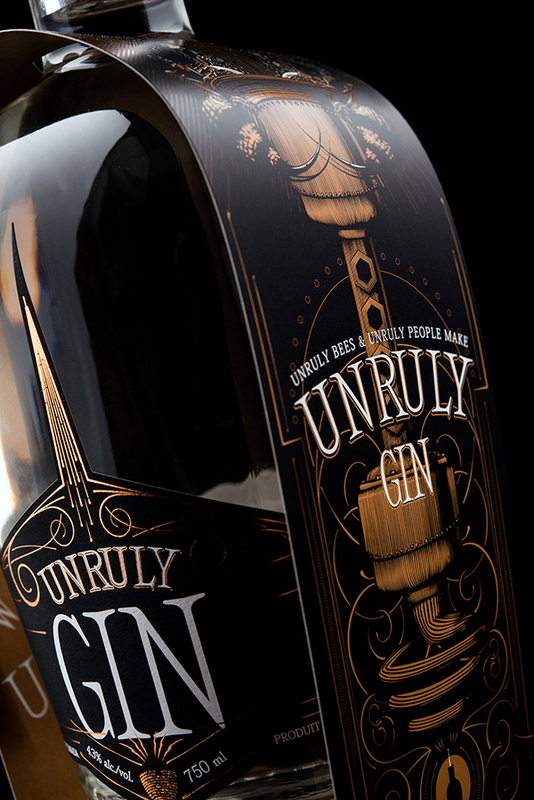 The custom vector illustration on these bottles is sure to set them apart in a retail setting and should help create significant buzz about their products as they build up to their launch.